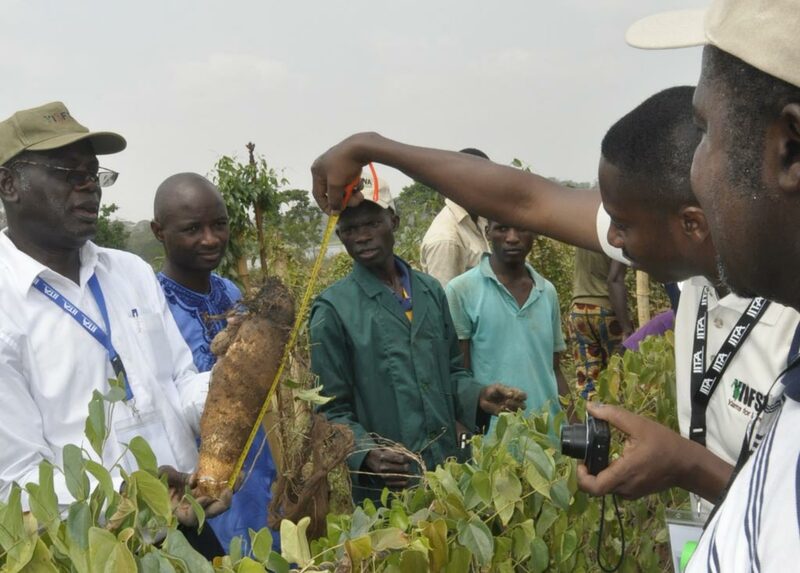 The Yam Improvement for Income and Food Security in West Africa (YIIFSWA) project held its 5th annual progress review and planning meeting, 15-18 February at the Conference Center, IITA-Ibadan, Nigeria. The 4-day meeting highlighted the progress review of the project’s two main components (1) Governance, Leadership and Partnership; and (2) Seed Systems. Each implementing partner made presentations on achievements and challenges during the 4th operational year of the project. The meeting then broke into country work groups to plan and synchronize activities for effective strengthening of the formal seed system in the 5th implementation year. This was followed by field and laboratory visits to the Aeroponics and Temporary Immersion Bioreactor facilities, and the germplasm lab to see breakthroughs in novel technologies for seed yam production, yam virus diagnostics tools, and quality management protocol for yam field assessment for pests and diseases. Participants came from various collaborating partner institutions, including, IITA, CSIR-CRI, NRI-UK, CSIR-SARI, NRCRI, GLDB, PPRSD, NASC, Evergreen Farms, Da-Allgreen Seeds Limited, Lumiere Seed Limited, Premier Seed Nigeria Limited, Romarey Seed Company, Greengold Construct Nigeria Limited, NACGRAB, MSHR, CRS, JPDM, Sustenance Agro Ventures (SAVE) Arimathea Foundation for Development (AFD), and Biocrops Nigeria Ltd., University of Abuja, the University of Nigeria Nsuka, and Small Holder Oil Palm Farmers’ Cooperative Society Limited (SHOP). Some notable achievements were highlighted: 400 demonstration fields were established in 2015 and a total of 26,969 farmers were trained on Adapted Yam Minisett Technique (ATMT) for clean seed production. To date, 62,064 farmers have been trained. During 2015, TIB generated 9007 clean stocks for pre-basic seed production. In th aeroponics system 2040 tubers were harvested weighing 58 kg and 13,148 one-node vine cuttings were produced and transplanted in the field. 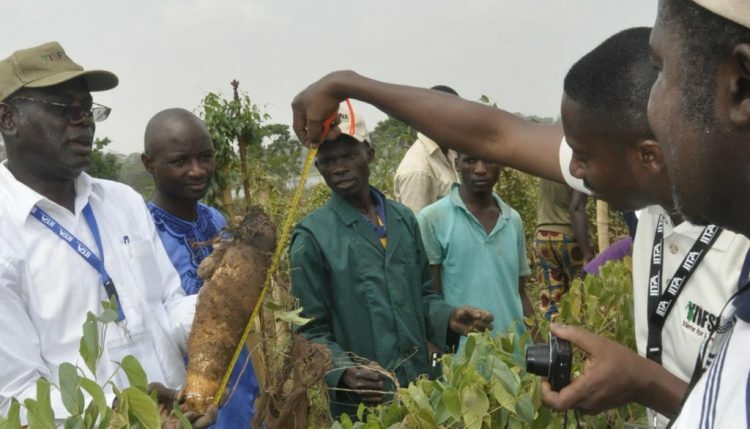 In terms of high quality seed production, 40,432 and 21,469 pre-basic seed and basic seed, respectively, of 20 varieties and 201,290 tubers of quality declared seed tubers of yam have been made available. This is the result of using YIIFSWA’s novel technologies for high ratio propagation of seed yam among the NARS in Nigeria and Ghana. Another notable achievement was the identification gibberellic acid for sprout control for better storage.